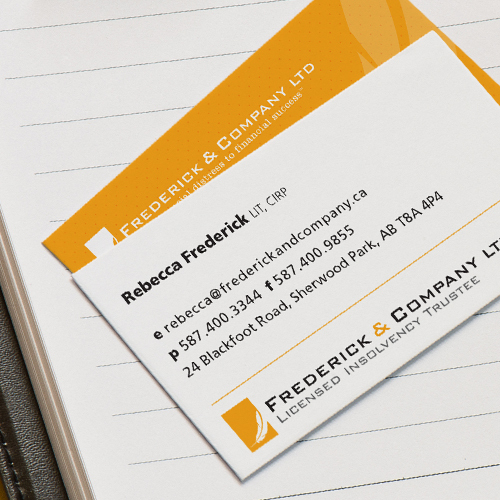 Rebecca wanted to connect with her clients on a deeper level. She felt her company was too corporate and needed to be warmed up, given the economic situations of her clients when they work with her. She had her heart set on an image that was clean, told a story and most importantly, work with the existing type-based logo of her company’s other division. After a few meetings with Rebecca, we got to work researching her industry and competitors. We got a good sense of perspective on the whole process of bankruptcy, Dennis’ parents went through one when he was a child, so we knew how these people must have felt walking into the office of Frederick & Company. It’s not a life event anyone wants to go through. Rebecca is a fantastic woman and has an energy that infects you when you meet her. Her business was no different. Her amazing tagline ‘from financial distress to financial success™’ was something we really wanted to stress in her logo. She is her client’s superhero. A person who takes the weight of financial distress off their shoulders. Giving them freedom and a new life. We took a look at her competitors and the industry. What we found was a very corporate standardized look. Given the emotional state that this target audience is in when they visit an insolvency firm, our belief was that a rigid corporate image was not the direction we wanted to pursue with this logo design. 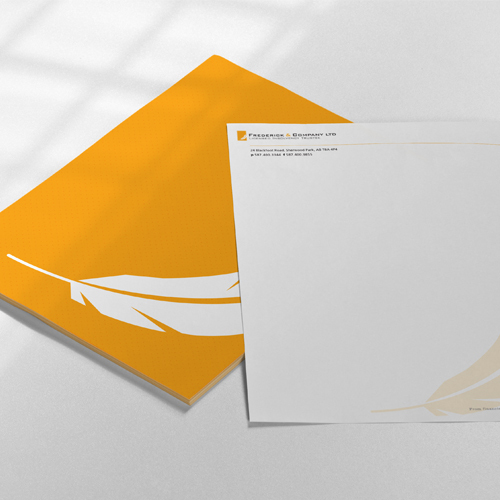 The logo story begins with the feather. It’s the remnants of someone taking flight. As a bird lifts off into the sky, chances are they will lose a feather as they begin their journey. 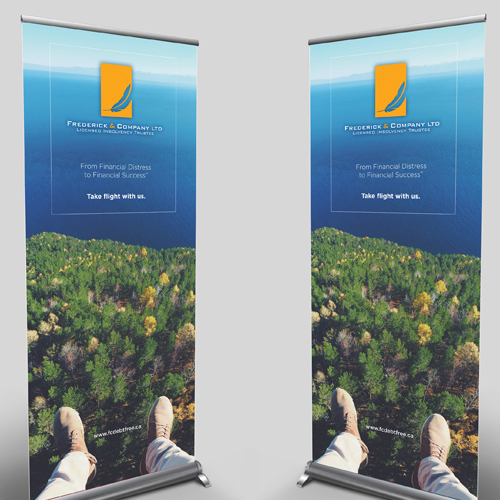 A person who works with Frederick & Company will also take flight. 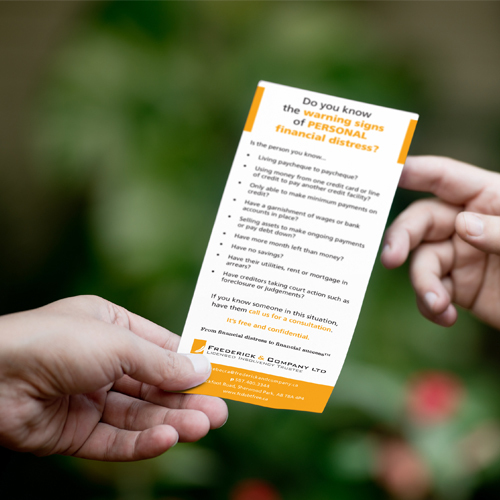 Feel free from the financial distress and take flight into the next chapter of their life – financial success. The placement of the feather is purposely done. 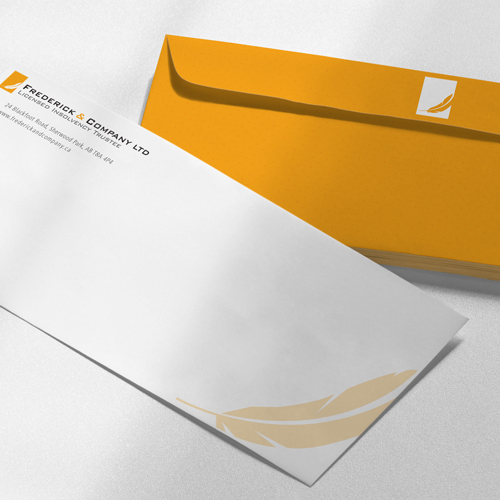 The upward stroke of the quill represents the financial success a person will achieve when they entrust Frederick & Company. The feather is contained. Containing the feather in a box gives the sense of order. Representing the order of laws, the corporate structure of the company and their professionalism. 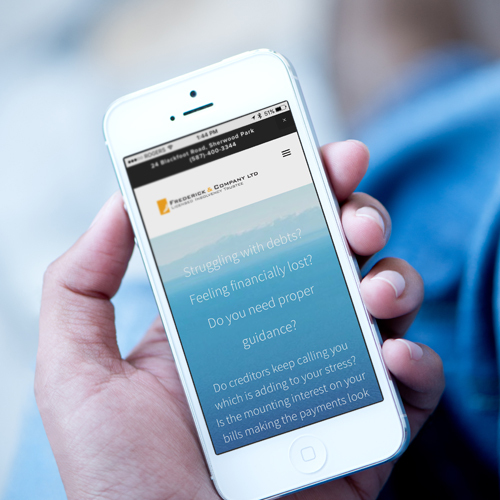 Once we had the logo created we then got to work on redesigning the homepage of the website. We needed an image that would convey taking flight. 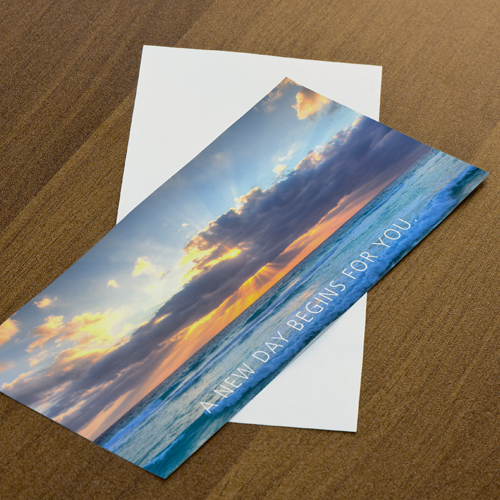 Choosing images of the outdoors gives the visitor a calming effect. Pairing the strong visuals with equally strong text brings the brand together.